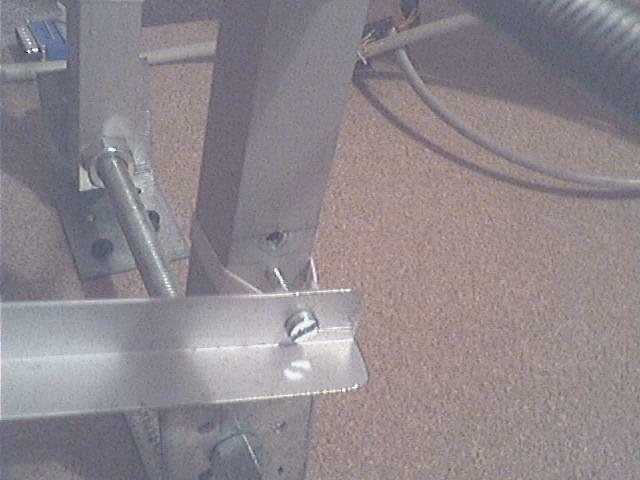 here you can see how the L-profiles are held in place: a screw that goes into the hole on the pedal arm, held by a rubber band. this allows some angular movement. Therefore I could not have used a nut.